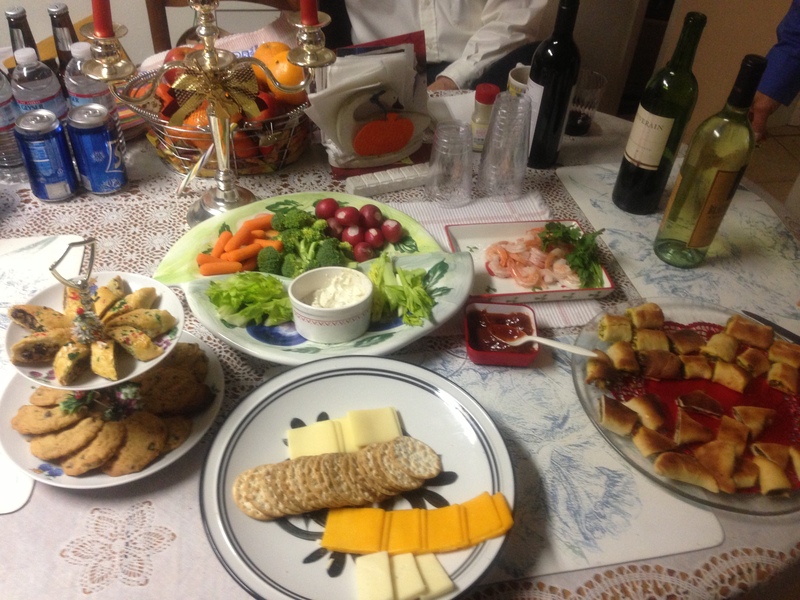 We recently had a lovely holiday dinner party with great company and loads of delicious food! *Za’atar is a Middle Eastern green and bright yellow spice mixture that is a blend of herbs, sesame and salt. I thought the Za’atar wrapped bites were tastier than the spinach ones. 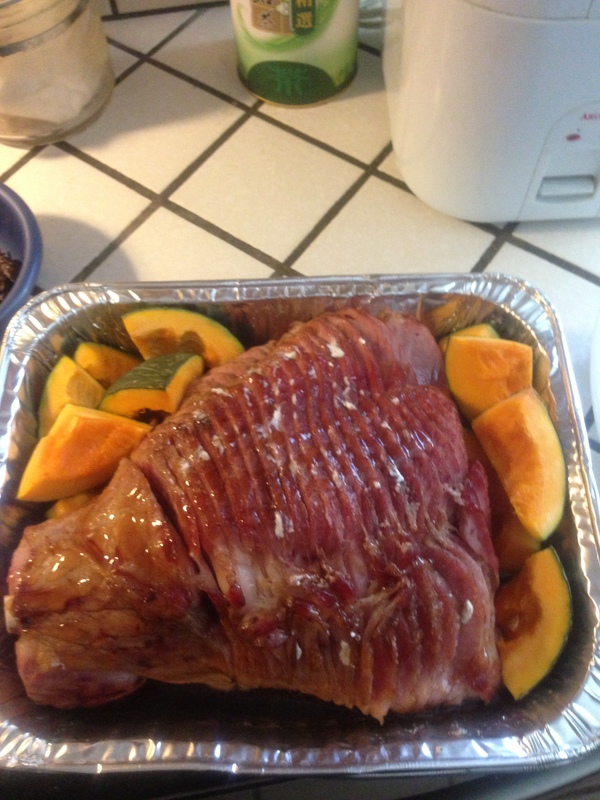 *The ham was wonderful– Full of flavor, tender, slightly caramelized. The pumpkin didn’t actually cook fully in the time it took to cook the ham, so I would suggest substituting the pumpkin with pieces of potatoes and/or onion. 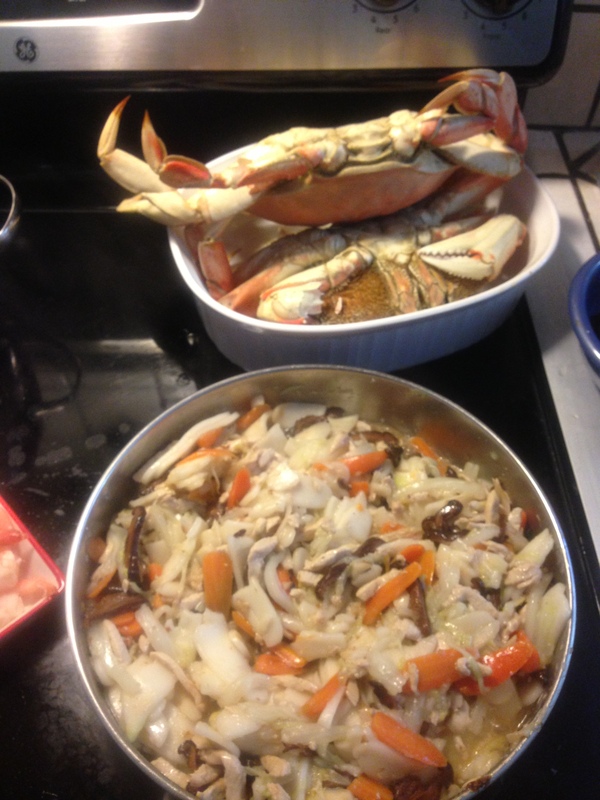 *Very delicious and since the crab legs were already cracked, easy to get to the meat. 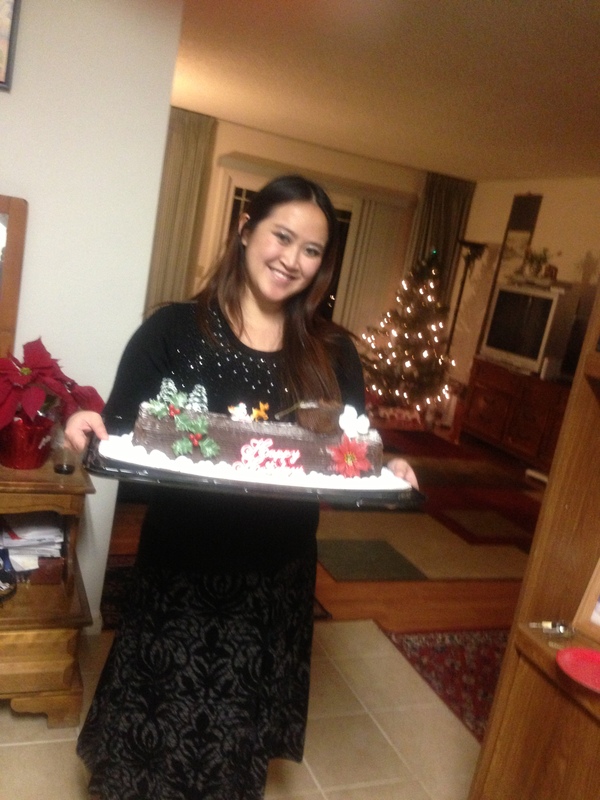 *This was my favorite dessert– Decorated beautifully and tasted heavenly. The chocolate was incredibly rich, smooth, and pure. The bit of raspberry swirl complemented the cake well. *It’s one of our family traditions to make this delightful treat during the holiday time. 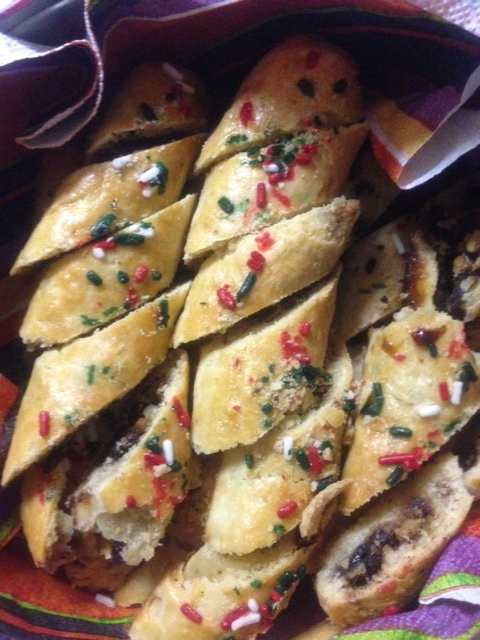 They are crispy-chewy flaky morsels of sweetness and topped with red & green sprinkles for the season. 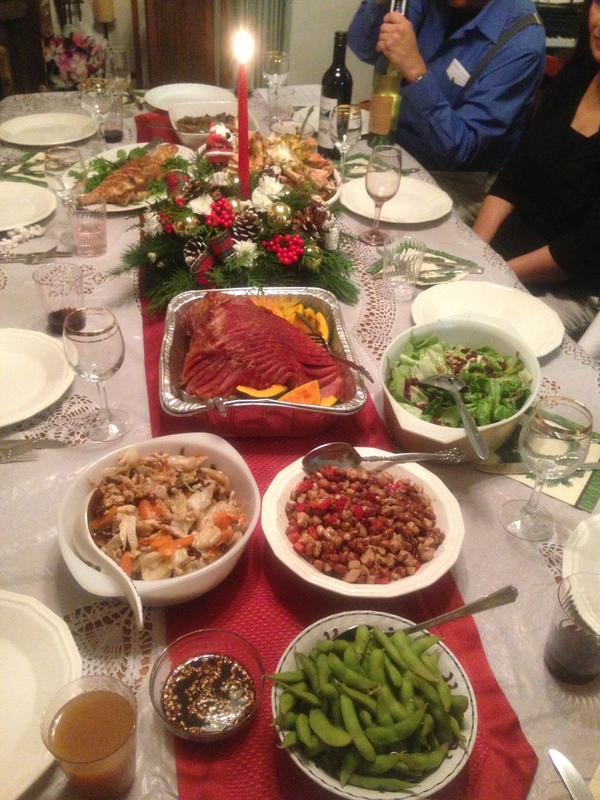 I hope that your holiday was filled with much food, family, friends and festivities! Here’s to a Merry Christmas, Happy Holidays & Happy New Year!